Build Engaging Experiences That Deliver Powerful Results. Increase your webinar registrations and get people to actually show up. Are you looking to increase your webinar registrations and have more people attend your webinar? 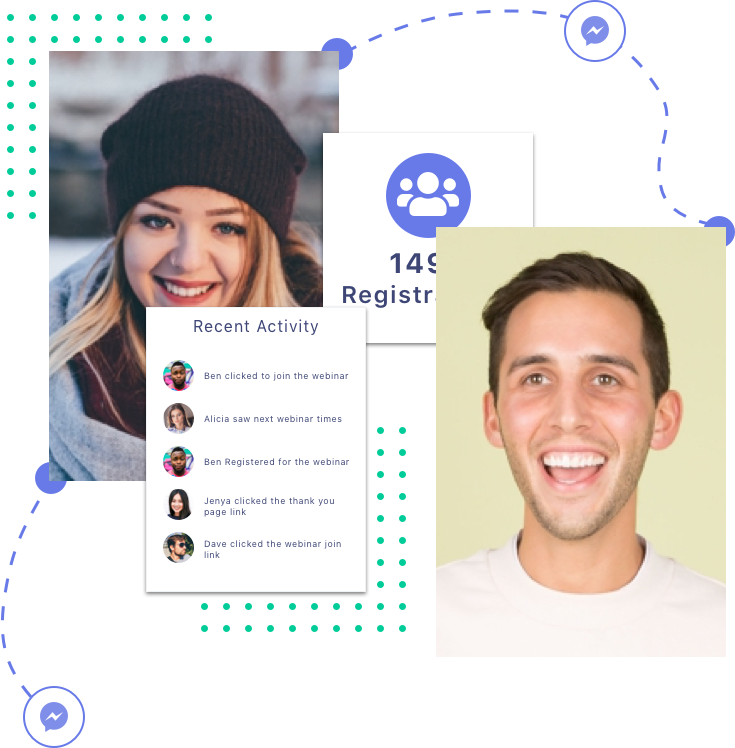 The webinar spark will allow your subscribers and prospects to easily register for your webinar without even leaving Messenger. Using Rules in ManyChat you are able to easily remind registrants of their upcoming webinar. Best of all, it works with the webinar tools you know and love. Referrals are the easiest way to grow your business, so make it easy for your fans to send you more business. Referral sparks allow you to create rewarding campaigns for sharing your content. Allow your subscribers to share directly in Messenger or give them the chance to share anywhere. 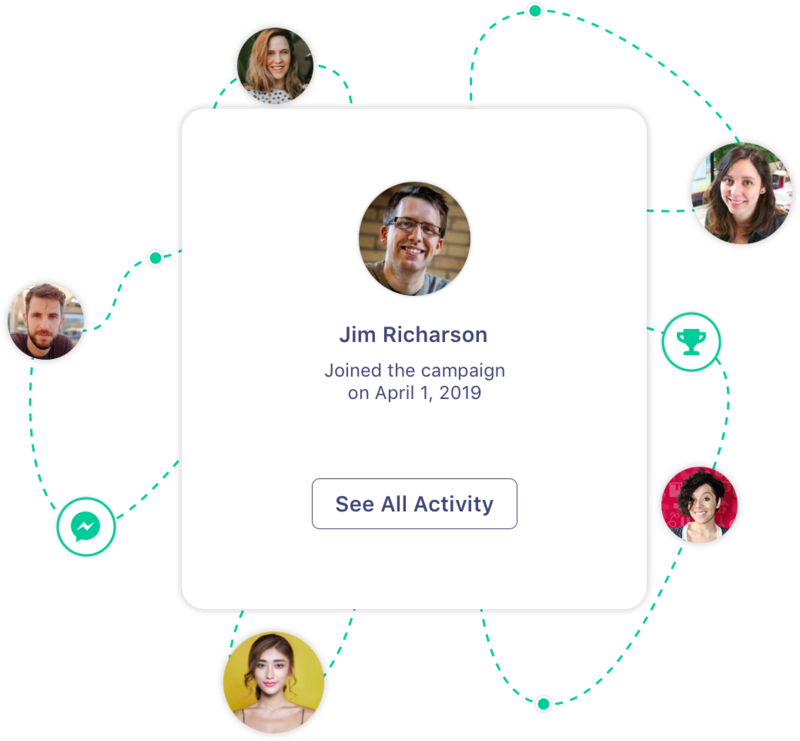 With referral sparks you can run contests and incentivize your subscribers by unlocking rewards. Are you looking to fill your calendar with more appointments? 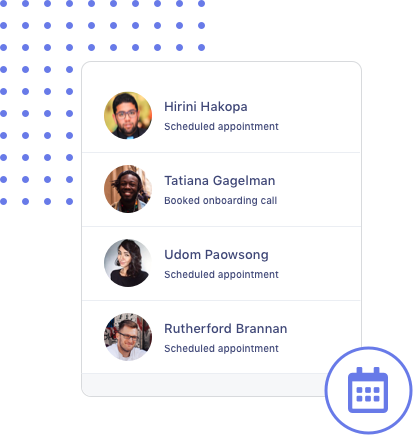 The scheduling spark will allow your prospects to schedule an appointment right inside Messenger. Once they have scheduled an appointment, follow up with them in Messenger to make sure they don't miss their appointment.